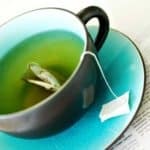 As a Naturopathic Doctor, having studied natural health and healing for many years, I have made a priority of studying and understanding the use of nutritional supplements for the unique needs of people suffering from iron overload. As I’ve poured through the medical research these past few years, I’ve been quite excited at what I’ve found. 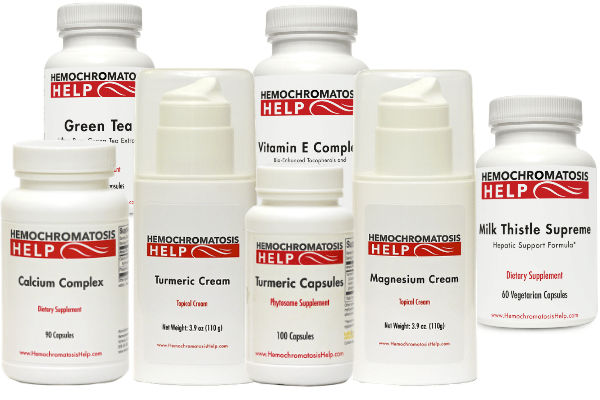 There are a lot of tools in nature that can help in hemochromatosis! Nutritional supplements and herbal remedies are complementary tools that may help improve the health of an individual with hemochromatosis. Integrating these natural remedies with a number of holistic dietary strategies in coordination with your doctor’s care plan may be an excellent way to improve your symptoms and your health. Chelate iron from the body- Chelate literally means “to claw” and chelators are substances that work to remove the iron already stored in the body. Block iron absorption- This means when consumed with an iron-rich meal, these substances prevent your body from absorbing as much iron as it would without them. Protect from free radical damage- Antioxidants have properties that help protect from the free radical damage that excess iron causes in the body. Got Hemochromatosis? There are Supplements for That! Let me describe in more detail those three benefits found in natural remedies for iron overload with some specific examples of helpful herbs and supplements and how they help in iron overload. One of the most exciting discoveries I’ve made in my research is finding a supplement that helps reduce the build-up of too much iron. While there are a number of nutrients, herbs, spices, proteins, or foods that inhibit the absorption of iron (a wonderfully good thing, mind you! ), one remedy stands above all for its ability to actually reduce excess iron. This remedy is Turmeric. Not only does it reduce iron absorption, but it also helps to remove iron in a safe and effective manner. 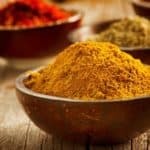 Read more about the benefits of Turmeric for hemochromatosis. If we want to find the intersection of safety and efficacy in relationship to hemochromatosis supplements, a great method is to find solutions to inhibit, reduce, or block the absorption of iron from the diet. There are a number of supplements that can inhibit the absorption of iron... but one remedy actually reduces excess iron! Enter the power of the antioxidant supplements! As a person stores more and more iron in their body, one progressive consequence of iron overload is a chronic state known as “oxidative stress.” In this state, excess iron creates oxidation which can stress both the structure and the function of the cells of our bodies. An antioxidant is a nutrient that donates an electron in order to stabilize a free radical that might otherwise cause damage to our bodies. Since excess iron overloads our system with oxidative damage, we can see the importance of supporting our health by maximizing our antioxidant nutrients. Antioxidants can reduce or even prevent this damage if the level of iron is not too excessive. This is why people with hemochromatosis may want to support their antioxidant function with healthy nutrients through diet and supplementation. Each of these antioxidants are available in the Hemochromatosis Help Antioxidant Bundle. In addition to the primary therapeutic goals of reducing the build-up of too much iron and blocking iron absorption, many people may also choose to supplement or use natural remedies for dealing with the common effects of hemochromatosis. For example, you may wish to incorporate nutritional supplements to help with joint pains and muscle aches, fatigue, insomnia, liver disease, heart conditions, and other concerns associated with iron overload. As a professionally trained naturopathic doctor, I have spent years studying the use of nutritional supplements, and here is what I have learned: above all else, the highest priority is safety and efficacy. Will this supplement or remedy harm health in any way? Is it manufactured properly and safely? Will it help, or is it a waste of money? Having stated my concerns regarding safety and efficacy, the evidence shows that there are some great tools (diet, nutritional supplements, and herbal remedies) that may help improve the health of an individual with hemochromatosis. You should always check with your doctor prior to starting any supplement, diet, or exercise routine. They know your specific circumstances best. One size does not fit all. Follow your doctor’s care plan, and do not be afraid to ask questions. Whether using medications directly for hemochromatosis or for other health concerns, please make sure there are no interactions between your medications and supplements. 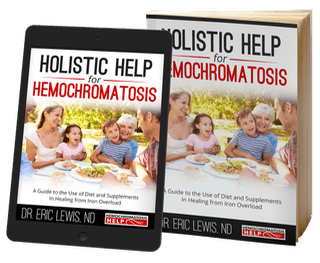 To learn more about specific guidelines for safely using nutritional supplements and natural remedies for hemochromatosis, I invite you to read my book “Holistic Help for Hemochromatosis: A Guide to the Use of Diet and Supplements in Healing from Iron Overload"